Designers and developers should always be looking out for tricks and hacks that help them develop their process in-line with browser support. You can use some of these CSS snippets to automatically adjust the specifications of the columns in your table, wrap long text or even create a simple loading state without using GIFs. This is one of the scenarios that designers who work with CSS face most often – we all wanted help with text alignment or element alignment vertically at least once! Using CSS3 Transforms, this can be easily sorted out. Find the snippet provided below, which you can use the next time you are stuck. Sometimes it is not easy to identify where a link is moving to, in such situations, you wish that that these different links would appear different from one another. 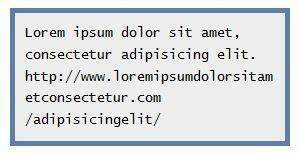 Here you can find a snippet which will add icons to the link text and also insert icons above the link text. It will use a variety of icons or images for different sources. If you want your website to appear more classic and even minimalistic, you can use Grayscale that will splatter a brighter and in-depth tone. Here is an example on how to apply grayscale filters to images using SVGs. Many of you might have already used this. If you want this to be rendered across cross browsers, use the ‘filter’ property as given below. Have you ever thought of a life without animations? It is difficult to imagine. So, let us find out how the animation feature of CSS can help you with this. It is believed that this gradient is one of the best that CSS offers. It is possible to animate the opacity, size, and background color with this, but it doesn’t offer gradient colors. Here is a snippet that will help you with this. The background position would be moved to bring about an animation effect. The truth is that none of like playing with tables as they are not easy to deal with while trying to bring about adjustments across the widths of columns. Here, is a shortcut or snippet that will help you. By inserting ‘white-space:nowrap’ within the ‘tdelement’, you can bring about appropriateness in the text wrapping. Here is an interesting snippet that will help you with box shadows on both, or either side of the box. If we want this to be done, the box and its related height and width need to be defined. You can give this shadow using the ‘:after’ pseudo component. Just ensure that it is placed in the right point. This is how bottom-only shadows are created. You can use this snippet to get the text to fall within the width of the container or holder. The below-given sample shows how you can use snippets to create an animation named as ellipsis, which will further help in generating loading states that are simple – all without using GIF images. These are just some popular CSS snippets that you can use to bring about changes to your design. Along with CSS snippets, keep yourselves updated with popular CSS frameworks as they are in the constant state of improvement.